A fresh Western Disturbance will soon approach the Northern Himalayas as an upper air system. A trough is running from central parts of Coastal Maharashtra to Sri Lanka Coast across Karnataka Coast, Kerala and Tamil Nadu. A cyclonic circulation is seen over southern parts of Tamil Nadu Coast. Another trough is extending from northern parts of Bihar to Coastal Odisha across Jharkhand and West Bengal. A cyclonic circulation in the lower level persists over Assam. Another cyclonic circulation is strengthening over Gujarat and its adjoining parts of Rajasthan. During the last 24 hours, Active Monsoon conditions occurred over Tamil Nadu and Kerala, giving moderate to heavy rains. 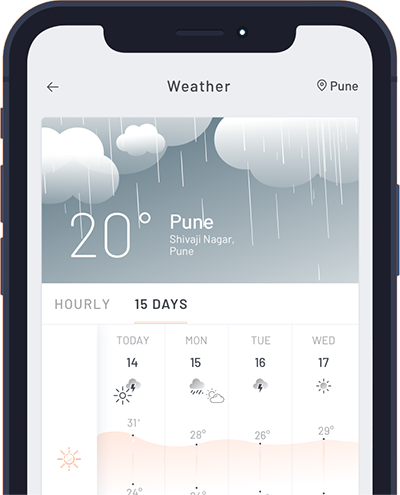 Normal Monsoon rains were observed over Madhya Maharashtra, Konkan including Mumbai, Karnataka, Andhra Pradesh, Telangana, Jammu and Kashmir, northeastern states, few places of Chhattisgarh, West Bengal and North Rajasthan. 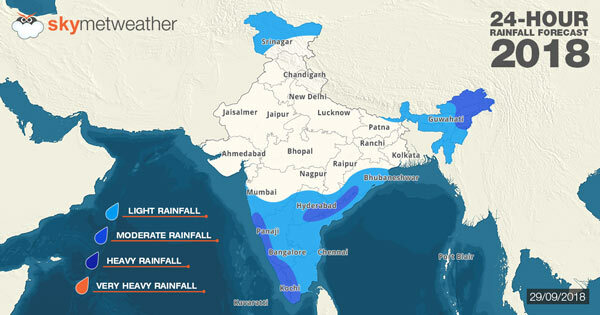 Dry weather prevailed over most parts of North and Central India. During the next 24 hours, active monsoon activity is expected over Tamil Nadu, Karnataka, Kerala and the northeastern states. Normal monsoon activity can be seen over Andhra Pradesh, Telangana, South Odisha and isolated places over Jammu and Kashmir and Sub-Himalayan West Bengal. Dry weather will continue over the northwestern plains, Central India, parts of Bihar and Jharkhand.